Always wanted to have a go at making a film? Learn the skills you need to make your own film – after the workshops you will have the opportunity to put them all to use by entering our Ffilmic 10 day film challenge. No previous experience in making films required! 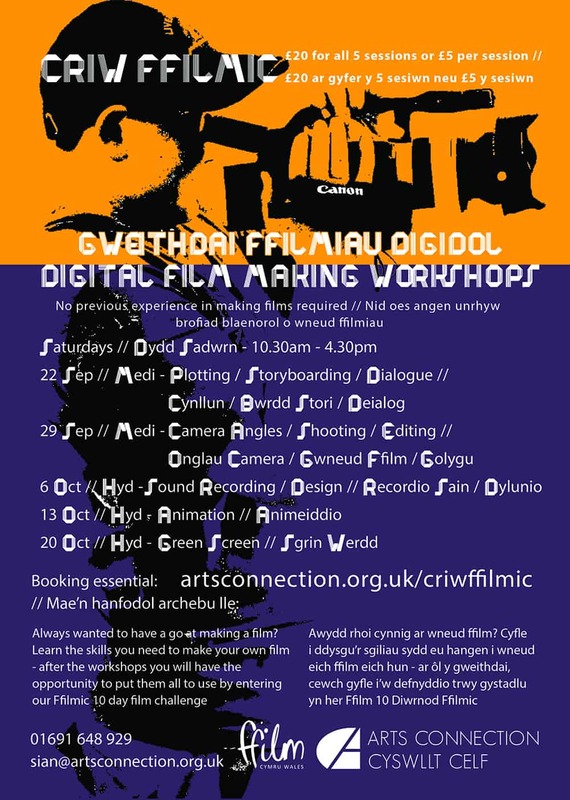 Come along to all five sessions or just one if there’s a particular area of film making you would like to have a go at.